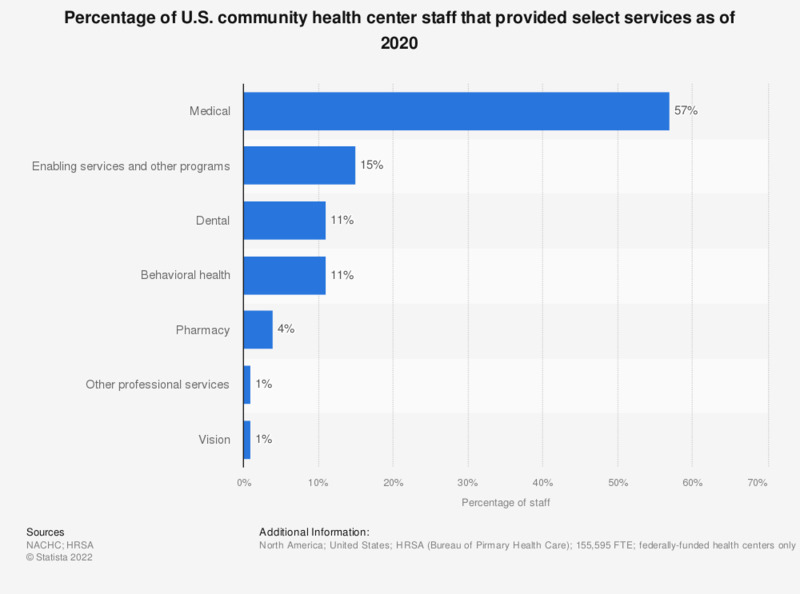 This statistic depicts the percentage of U.S. community health center staff that provided select services as of 2016. According to the data, 55 percent of health center staff provided medical services. Percentage may not add to 100% due to rounding.